California has naturally shaky ground and because of that, the government has been mapping and quantifying our earthquake risk for many years. Now an unusual earthquake forecast by federal scientists warns that nearly 8 million Americans in the central and eastern states face potentially damaging earthquakes caused by oil production. Natural earthquakes in the central and eastern states are rare and small. But over the last 10 years a boom in oil and gas drilling has resulted in unnatural -- geologists call them "induced" -- earthquakes in places not used to them. 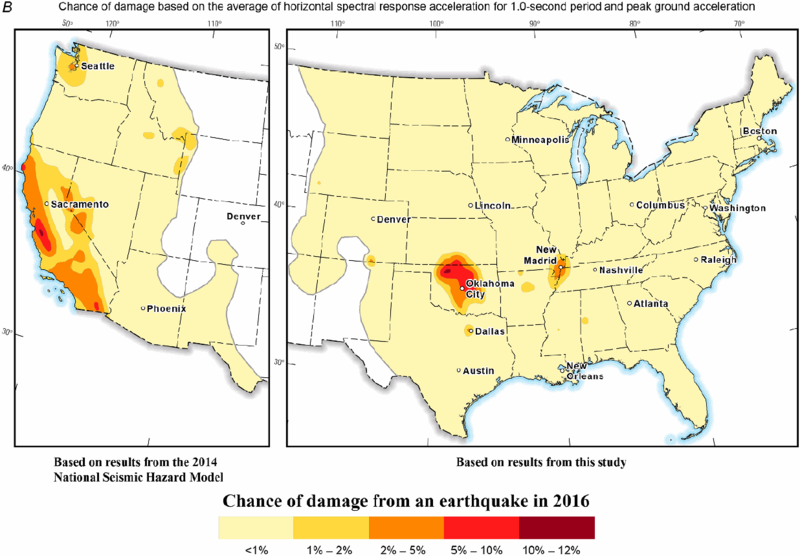 Mark Petersen of the U.S. Geological Survey, lead scientist for the new forecast, says citizens in states like Oklahoma, Texas and Arkansas have reported about 1,500 cases of earthquake damage, ranging from fallen objects to cracked walls and foundations. Scientists now know why induced quakes are strongly linked to oil production. Getting oil out of rock generates a lot of wastewater. Oil companies dispose of that wastewater by injecting it into very deep rocks, where the changes in underground pressure may wake up long-dormant geological faults. These faults then find themselves able to release their ancient stresses in earthquakes. This combination of deep wastewater injection and old, susceptible faults is not common. The great majority of deep injection wells cause no trouble. And the ones that do, we're learning, quickly stop misbehaving once the pumping stops. But the U.S. Geological Survey has been cautious about what to tell people. Earthquake control -- the ability to stop induced earthquakes by cutting back on pumping -- changes traditional thinking in the earthquake science community. Scientists usually present earthquake forecasts in terms that structural engineers and building officials can understand and apply when they design and build structures. And natural earthquakes occur on time scales measured in decades and centuries. So a one-year forecast is of little use to building specialists. The new one-year forecast, Peterson says, "is mostly an awareness thing. We don't know how people are going to use this model." But for public awareness, a yearly estimate may actually help reduce alarm because induced earthquakes respond quickly to changes in pumping. Once state regulators order pumping cutbacks, the hazard shown in a short-term forecast will probably be gone in another year's version. The forecast for 2016 is based on well-understood earthquake behavior -- the places where earthquakes are occurring now are where they will tend to occur in coming months. 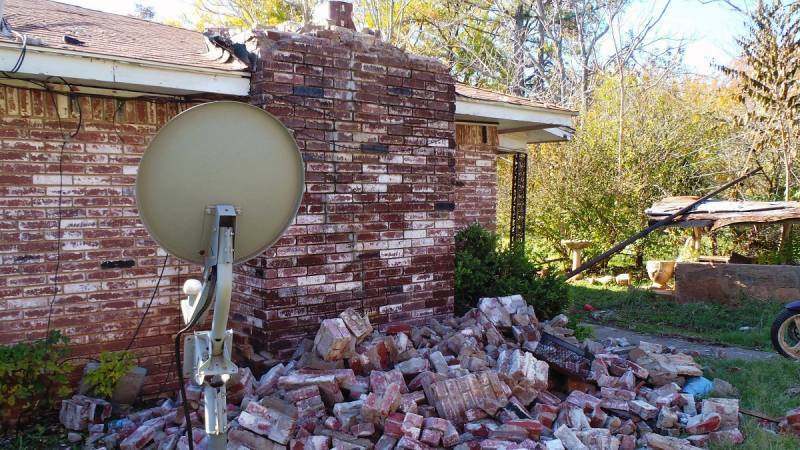 Petersen wants people to know that the hazard of induced earthquakes is definite, but limited. "There's a chance that you can sustain some damage," he says. "It's not real likely." 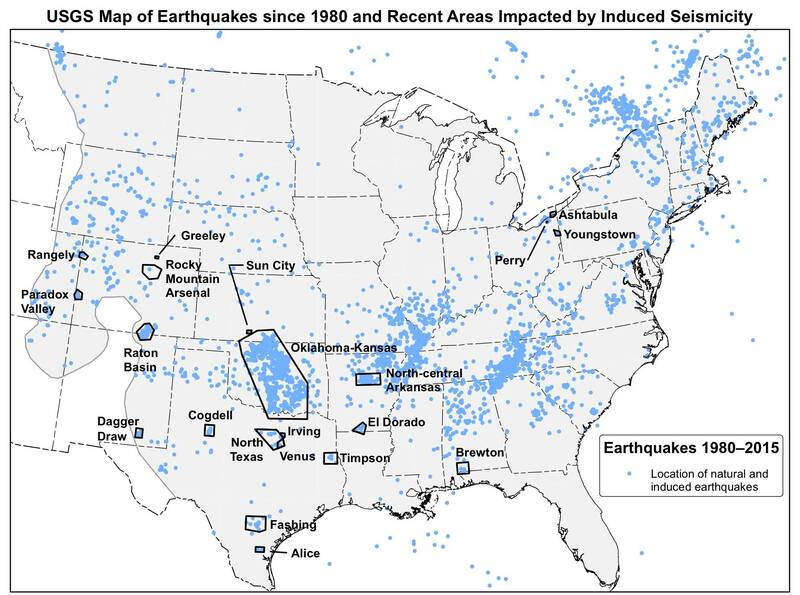 The map of western states shows only natural earthquakes, and is shown for comparison with the central and eastern states. The region between Gilroy and Pinnacles National Park, marked in dark colors, is not an oil-producing region; instead, the San Andreas fault has been active here in recent months, producing numerous small natural quakes. The odds say that more of them, not necessarily big ones, will continue. There appear to be few induced earthquakes in California. Petersen hopes that next year's forecast will be different, thanks to steps the affected states are taking. And maybe our midwestern friends and relatives can pick up tips from California on how to deal with earthquakes.